Secret Service prostitution scandal prostitution scandal: David Nieland resigned after Florida police said he patronized a brothel. 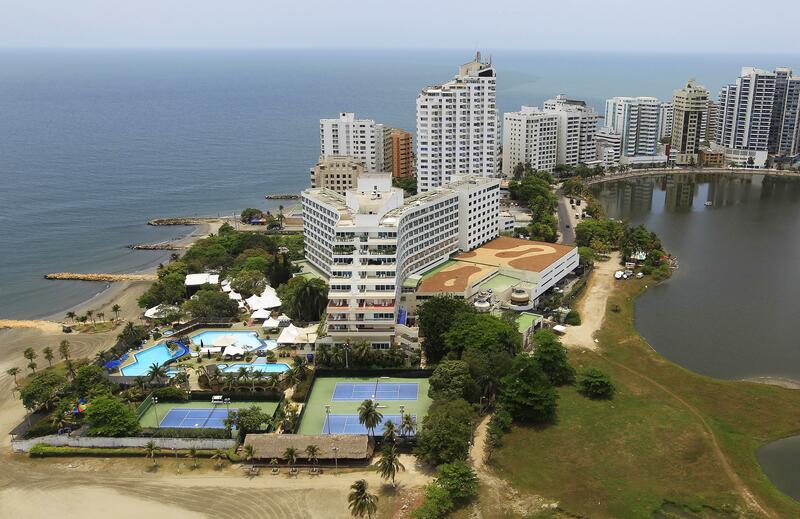 The Hilton in Cartagena, Colombia, where President Obama stayed during the scandalous trip. In 2012, David Nieland, head of the Department of Homeland Security inspector general’s Miami office, was assigned to evaluate the Secret Service’s response to a scandalous presidential trip to Colombia during which a number of agents patronized Colombian prostitutes. Don’t accuse your superiors of covering up the White House’s involvement in the scandal, then contradict yourself during an internal review of your allegation, then get suspended for circulating photographs of an intern’s feet, then get caught by Florida police leaving a brothel and making up a story about a nonexistent human trafficking investigation to explain why you were there. In 2013, according to department officials, Mr. Nieland accused the inspector general’s office of retaliating against him for making [White House coverup] allegations when it suspended him for two weeks without pay after he circulated photographs that he had taken of a female intern’s feet. The intern asked to be transferred out of the office after the incident. When this is the second-most embarrassing section of a New York Times story about you, you have probably not done a great job leading the Department of Homeland Security’s Miami office.